The Dallas Cowboys addressed the vacant roster spots left by Terrance Mitchell and Brandon McGee, who were released last Friday by signing two defensive backs today. No, it isn’t Brandon Boykin who worked out for the Cowboys earlier, but it does add depth to the Cowboys secondary. According to Rob Phillips via twitter, the Cowboys decided to sign veteran cornerbacks Isaiah Frey and Dax Swanson. Isaiah Frey was a sixth round draft pick by the Chicago Bears in the 2012 NFL Draft. He played his college ball at Nevada. The Dallas Cowboys addressed the vacant roster spots left by Terrance Mitchell and Brandon McGee, who were released last Friday by signing two defensive backs today. No, it isn't Brandon Boykin who worked out for the Cowboys earlier, but it does add depth to the Cowboys secondary. According to Rob Phillips via twitter, the Cowboys decided to sign veteran cornerbacks Isaiah Frey and Dax Swanson. Cowboys sign CBs Isaiah Frey and Dax Swanson to the roster. Replacing CBs Terrance Mitchell and Brandon McGee, who were waived Friday. 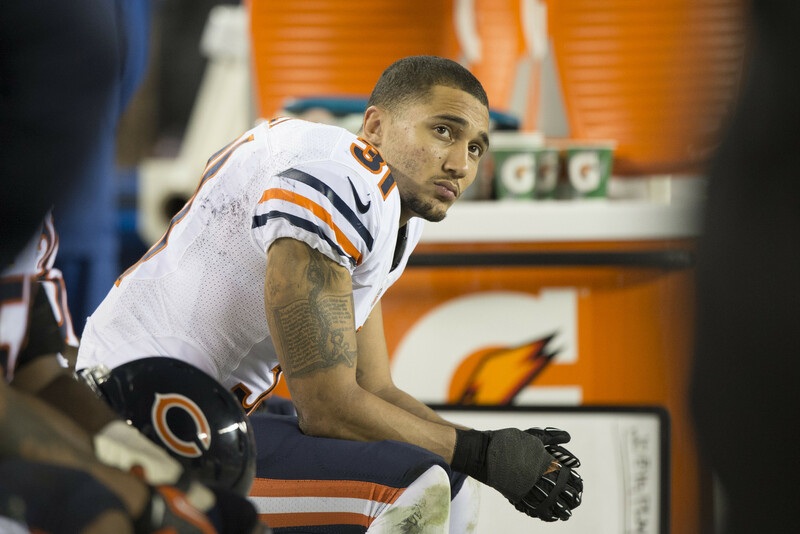 Isaiah Frey was a sixth round draft pick by the Chicago Bears in the 2012 NFL Draft. He played his college ball at Nevada. Frey has also spent time with the Tampa Bay Buccaneers and was most recently with the Pittsburgh Steelers as a member of their practice squad. At 6'0" tall and 190 pounds, Frey has the size that the Cowboys look for in their cornerbacks, but is probably a long shot to make the final 53 man roster at this point. Dax Swanson is a native Texan who played his collegiate ball at Sam Houston State. Swanson was signed by the Indianapolis Colts as an undrafted free agent in 2013 and has been a journeyman thus far in his career in the NFL. He has been a member of the Indianapolis Colts, San Francisco 49ers, New England Patriots, Tampa Bay Buccaneers, New York Jets, and most recently the Miami Dolphins in 2015. Swanson is a little smaller than Frey standing at 5'11" and weighs in at 191 pounds, but like Frey they will both be battling to try to catch the coaching staff's eye in order to prove that they are worth keeping around. Although both players add depth to the Cowboys secondary, they are long shots to make the team but can help keep the starters from getting overworked throughout the remaining off-season and preseason games.